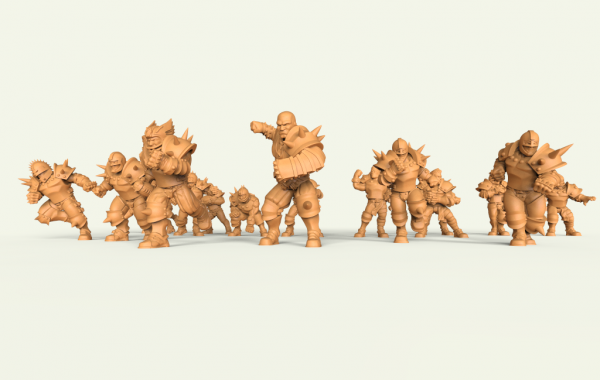 Sculpture of several 3D miniatures for one team of Fantasy Football. 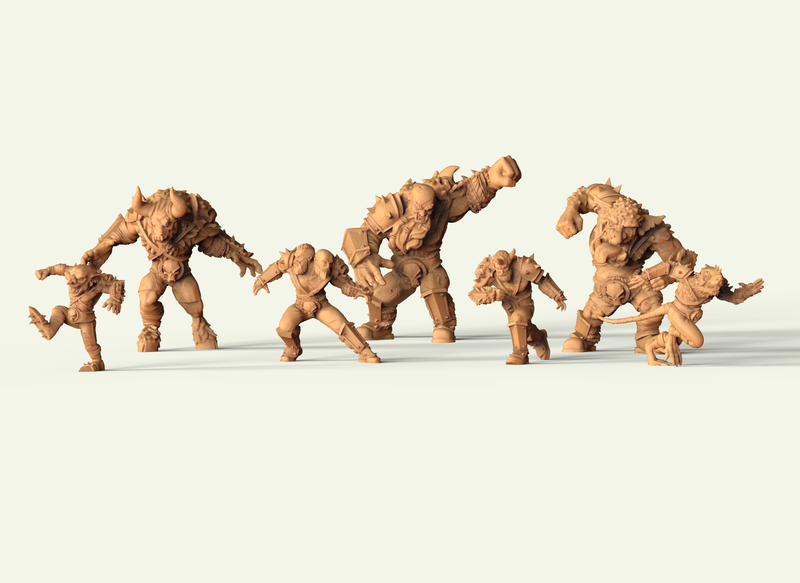 The client wanted to develop the “Chaos Alliance” team that included marauder mutants, a goblin, a skaven, a dark elf, a minotaur, an ogre and a troll. 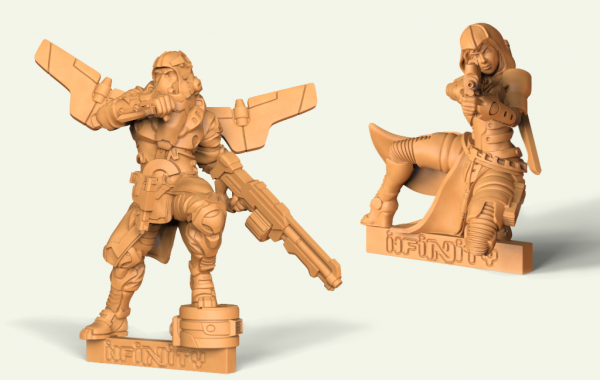 The client sent us references of illustrations and 3D miniatures that he liked and had the style he wanted for his team. We, based on these references, proposed to the customer a Viking aesthetic for Marauder so, in addition to maintaining the style that the client wanted, they had a slightly different and original touch. For the Marauder we proposed to the client a concept art based on a Viking aesthetic combined with the references style. 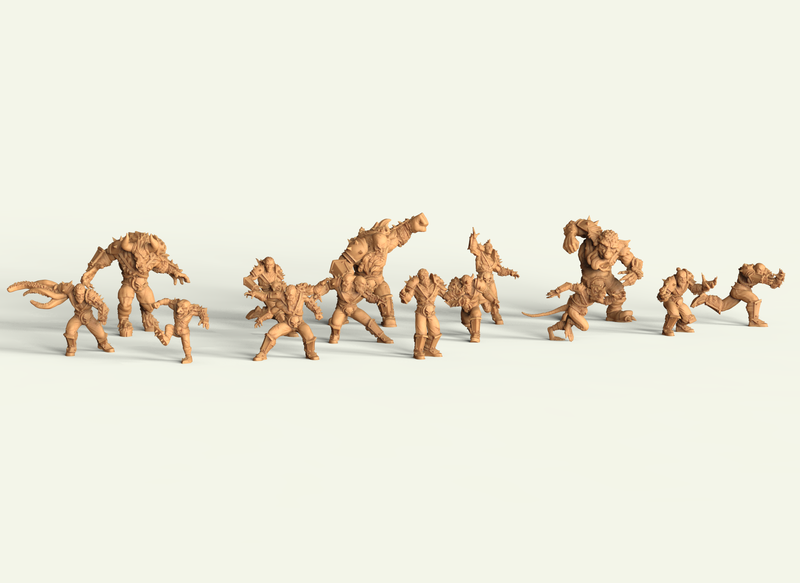 These 3D miniatures, in addition to different poses, have different pieces and mutations so each character is different from the others. 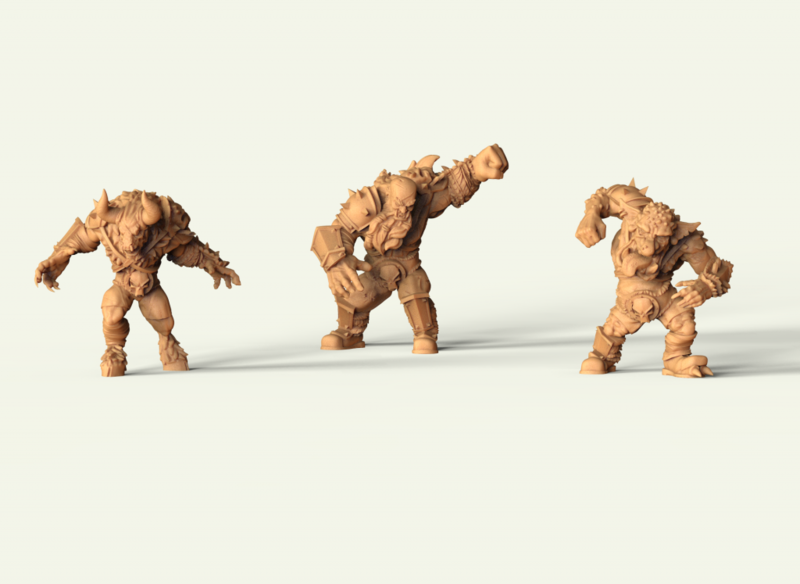 In addition to the Marauders, we modeled some special players, for whom we tried different poses to find the one that best transmitted the strength and dynamism that we were looking for in each character. 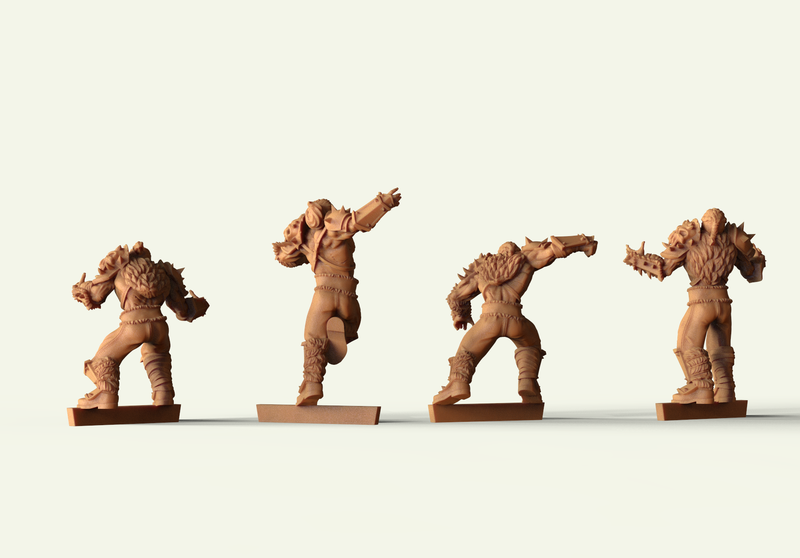 For the team “Chaos Alliance” we designed a logo that was included in the belt of each of the 3D miniatures, as well as armors and common elements, to reinforce the aesthetics of equipment. 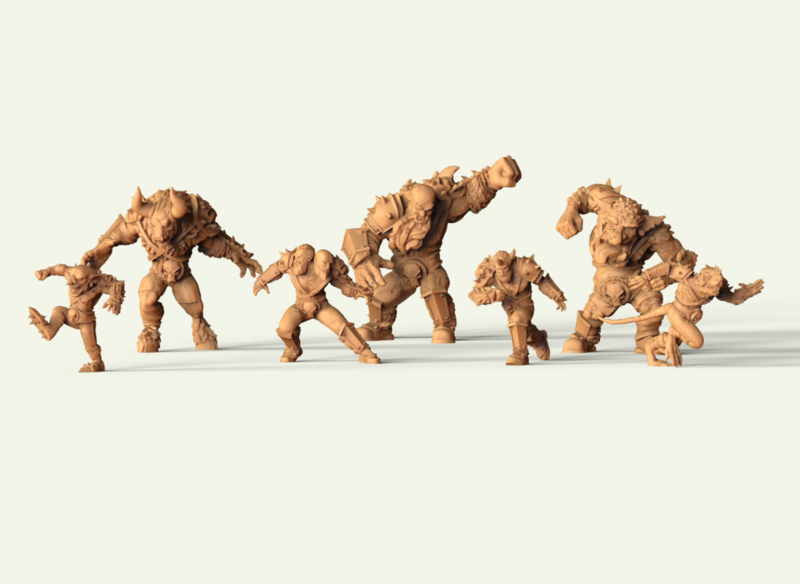 When we finished the 3D miniatures we proposed to the client the cuts. Once the producer validated it, we made the cuts and prepared the miniatures for production. 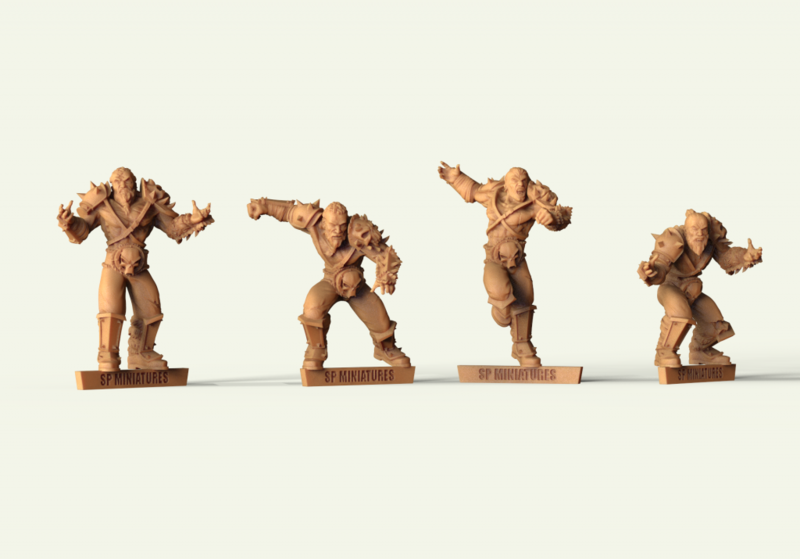 A total of 14 miniatures were modeled on a 31 mm scale to the eyes, where the 3 special miniatures have a larger proportion. 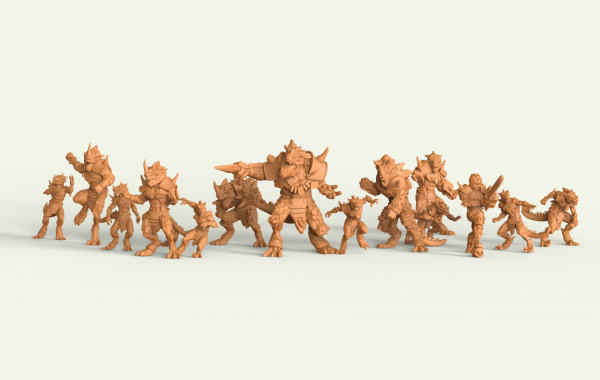 If you like Chaos Alliance… share it!